Peabody Fire Department, 1896. 10 Firemen standing before horse-drawn fire truck with one fireman in truck. Standing before doors of fire department, Steamer 1, Hook & Ladder 1. Wearing white belts. 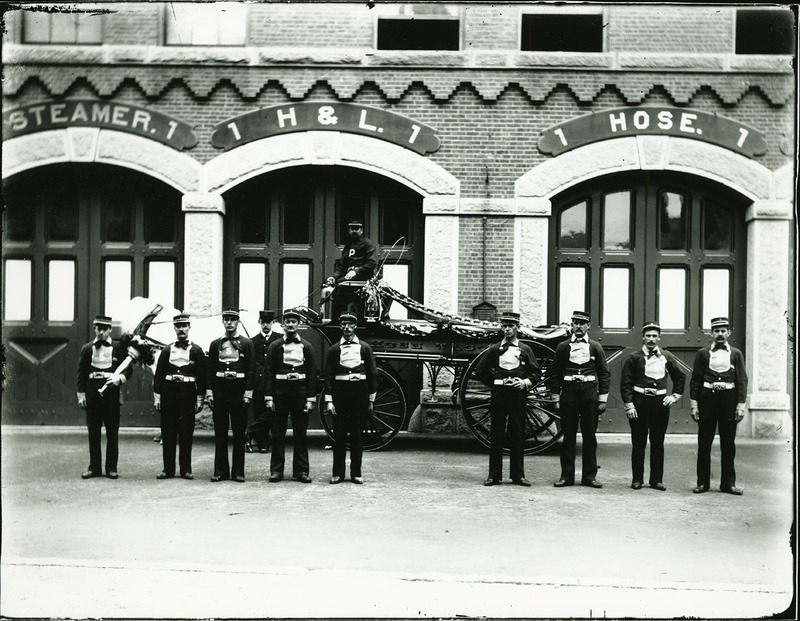 “Peabody fire department,” Peabody Institute Library, Peabody, Mass., accessed April 18, 2019, https://digitalheritage.noblenet.org/peabody/items/show/182.